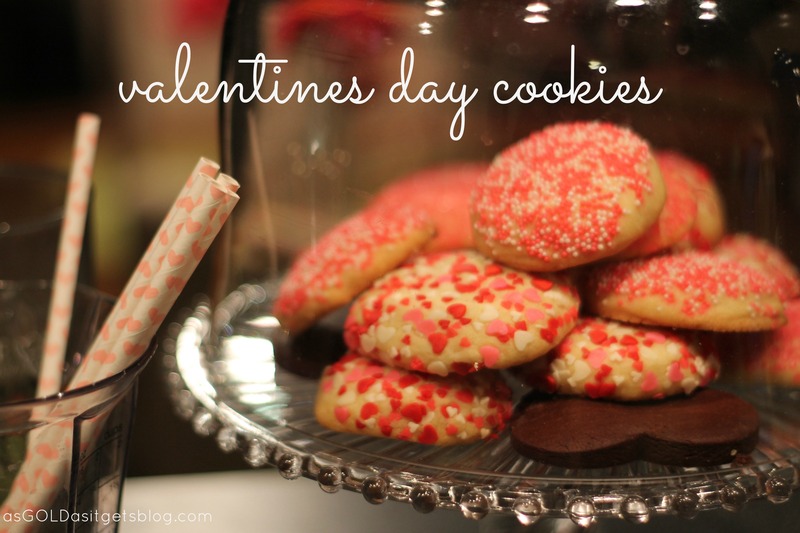 valentines day cookies – two ways! I love Valentines day! Even if I didn’t have a boyfriend on Valentines, I just love the idea of Valentines day and all the cute valentines and sweets. Today I’m bringing you two recipes that I’ve tested (and I’ll be honest, I like one WAY more than the other!). But both are perfect and cute and sure to please your valentine. 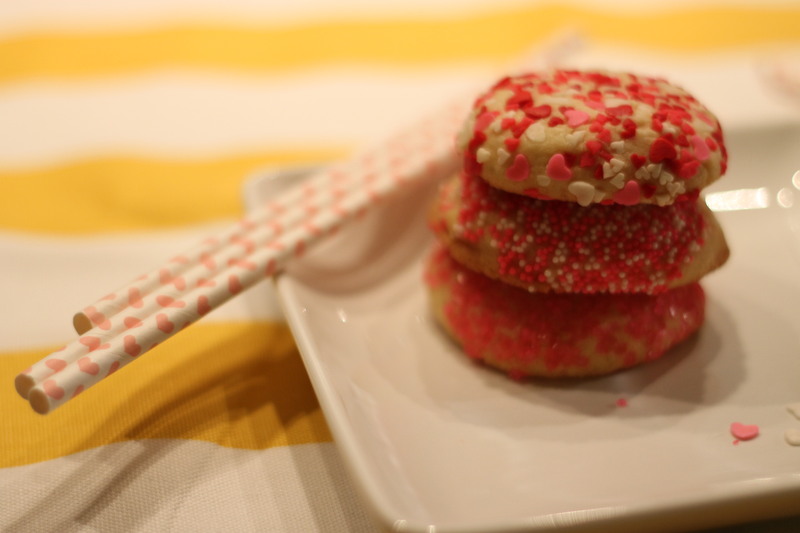 First up, these dreamy heart sprinkles are from Target and really add the perfect finishing touch to Domestic Dreamboats recipe for Sprinkle Crusted Soft and Chewy Sugar Cookies. These are divine! She recommends using 1/2-1/2 tsp almond extract (I used 1/2 tsp) and they make them out of this world. I love sprinkles baked into cookies like this. It makes them so fun for kids + kids at heart. I also love that these can get slightly brown on the bottom – it really does add a little extra flavor. My second recipe… is good. But I think I’ve just discovered that chocolate shortbread is too much for me. I love that buttery rich shortbread taste but I always feel like chocolate shortbread is so chock full of cocoa that it has none of that buttery flavor. The flavor is definitely a deep rich chocolate, you’ll definitely need a glass of milk to wash this down. This recipe can be found at Crunch Creamy Sweet. I did try another cookie after they had set for about 12 hours and the deep flavor that was initially knocking me over had subsided a little with cooling and setting. Some people will absolutely love these, and they are good — but have a drink ready to go! 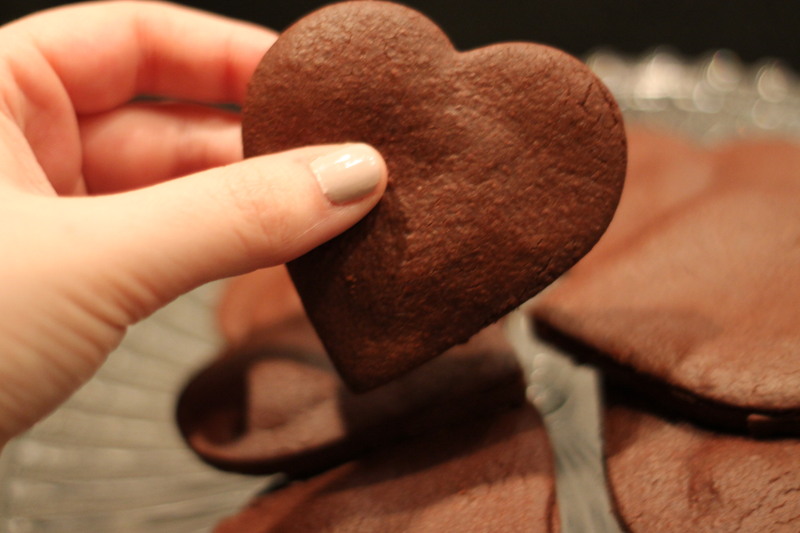 Categories: Good Eats | Tags: chocolate shortbread, cookies, sugar cookies, valentines day | Permalink. These cookies are so cute! 😍 I’d love to try one he he 😄 have a beautiful weekend! Thank you! They are really easy to make and so tasty! I hope you have a lovely weekend! These looks delicious! Can’t wait to give the recipes a try!